SGrafana is a web frontend that allows showing dashboards with graphs. With this docker you will have statistics in real time about your IsardVDI. 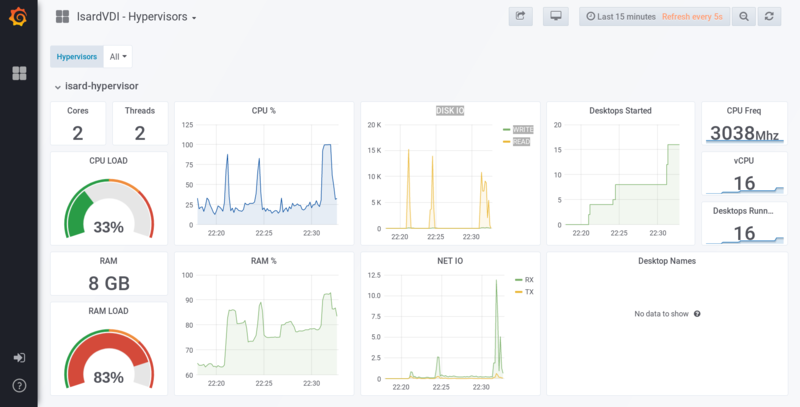 Connect to your IsardVDI server on port 3000 to access grafana dashboards. Default user is admin and password isardvdi. It is highly recommended that you change that default password. You should then modify grafana settings in IsardVDI config menu to allow access to this remote grafana host.